This beautifully written memoir of a lover’s life and death will impress readers with its lyricism and emotion. 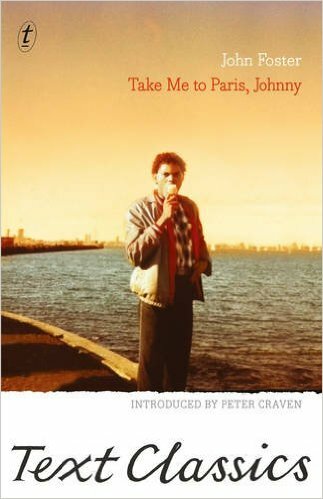 Originally published in Australia in 1993, John Foster’s Take Me to Paris, Johnny recounts the life of his lover Juan Céspedes, who died of AIDS in 1987. This Text Classics edition–the first in the United States–includes an introduction by critic Peter Craven and an afterword by Foster’s close friend John Rickard. While these supplementary materials provide context and develop Foster’s character, the original work gleams abundantly without their help. Juan was a Cuban refugee studying dance in New York City when he met Foster, an Australian history professor, in 1981. A one-night stand became a summer-long affair and then a long-term, long-distance relationship, to Foster’s surprise. As the couple wrangled with the Australian immigration authorities to gain Juan’s permanent residence there, his illness became undeniably serious. He died in a hospital in Melbourne with Foster by his side. This sensitive, perceptive memoir keeps Juan at its center, outlining his boyhood and escape to the United States before focusing on the love affair and Juan’s death; the final event receives due gravity without defining his life or the book. In a mere 200 pages, Take Me to Paris, Johnny achieves a full emotional range, sketches Juan’s rare and changeable personality and imbues a tragedy with poetry. Foster’s writing is exquisite: thoughtful, lyrical and with an eye for detail. While this is undeniably a sad story, Foster resists wallowing, choosing instead to celebrate Juan and even to laugh at their troubles. Take Me to Paris, Johnny is incisive, wry, loving and deeply lovable. This review originally ran in the January 10, 2017 issue of Shelf Awareness for Readers. To subscribe, click here, and you’ll receive two issues per week of book reviews and other bookish news.